Despite the challenges of managing a rigorous academic program and living with relative strangers in the residence halls, Lindsey ’00 relished her first year of college. 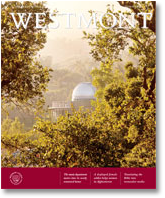 Her mom and dad appreciate Westmont so much they have agreed to serve on the Parents Council. Although Lindsey initially wanted to attend a big-name university, she changed her mind in favor of a Christian college with an excellent academic reputation. 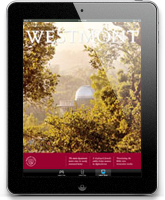 This stipulation led her straight to Westmont. Lindsey plans to major in communication studies and minor in history. She applied for an internship at a local television station this summer and ended up as a camera operator on the evening news for the NBC-affiliate in Fresno. While she likes this job, she’ll be happy to resume her studies at Westmont in the fall.